The National Park Service will receive $90 million from a FASTLANE grant to repair the iconic Arlington Memorial Bridge. The U.S. Department of Transportation has selected 18 projects to receive nearly $760 million total in FASTLANE grants. The money for these multi-modal improvements is made available through the FAST Act-authorized Nationally Significant Freight and Highway Projects program. The grants are aimed at providing additional funds for nationally and regionally significant highway and freight projects. The two largest awards—representing one third of the total—are for projects near the Nation’s Capital. 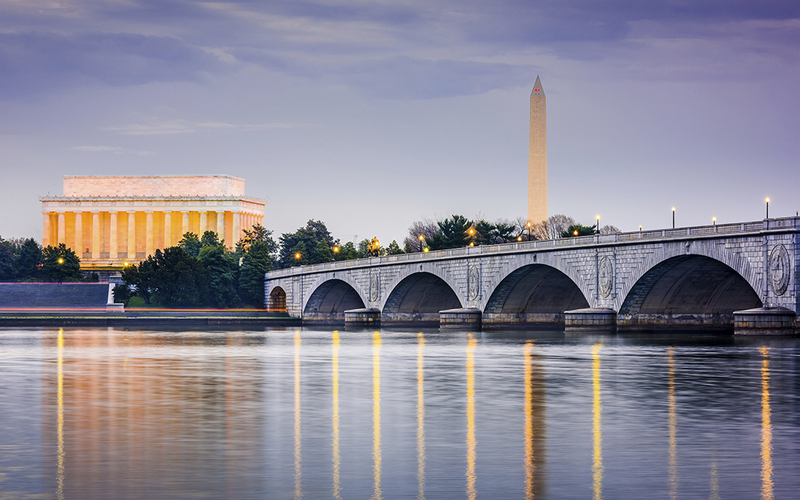 Virginia is getting $165 million to help transform road and rail infrastructure along the Interstate 95 corridor, while the National Park Service will receive $90 million to repair the iconic Arlington Memorial Bridge. The Depression-era span between Arlington National Cemetery and the Lincoln Memorial could close by 2021 without up to $250 million in repairs, the Park Service has said. Oklahoma will receive $62 million for work on US 69/75, and Louisiana will get $60 million for a 15-mile pavement replacement and lane addition between the Interstate 10 and Interstate 49 interchange. The remaining 14 grants are each less than $60 million, with 25 percent steered toward work in rural areas, and 10 percent reserved for smaller projects. See the full list of 2016 grant winners. The FAST Act authorized the FASTLANE program for $4.5 billion through 2020, $500 million to be used on non-highway or multi-modal projects. ARTBA opposed this provision during last year’s FAST Act debate since the funding comes from the Highway Account (HA) of the Highway Trust Fund. Traditionally, HA funds are used on highway related projects. This first batch of grants uses up $173 million, leaving up to $327 million for the next administration to use on non-highway projects.